All right, here's a question for you: what did you think about the 'Peanuts Movie'? You know, that one everyone saw? Ok, I can tell you what you thought about it: you didn't. Because there never has been a 'Peanuts' movie. That's right - in the 60 years that 'Peanuts' has been the most popular comic strip, an American classic, achieving iconic status among all cartoon characters, there never has been a 'Peanuts' movie. Charles M. Schulz did scads of television specials and even a Broadway play or two, but not one film. 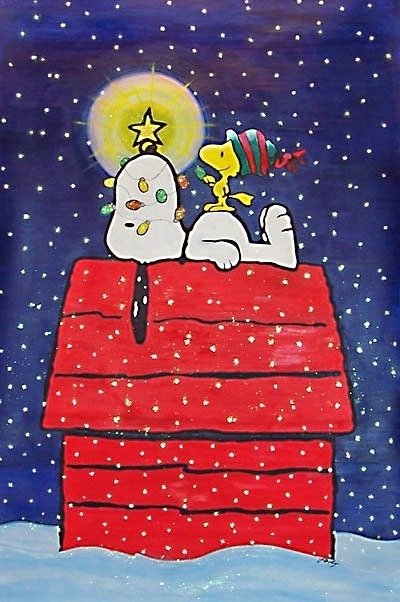 Well, that is about to change, because Charlie Brown and the rest of the gang will make their big-screen debut in 2015. I bet nobody figured back in the '60s when the Peanuts characters were used as the names of lunar spacecraft that it would take until 2015 for the characters to hit movie theaters, but, well, it finally is happening. Snoopy, Charlie Brown and the rest of the gang from Charles Schulz's timeless "Peanuts" comic strip will be making their big-screen debut in a CG-Animated Feature film in 3D. Blue Sky, one of the top animation houses, is doing it. It's set for a Christmas release next year.